FabFilter Pro-R is bursting with innovations like the intuitive Space control that seamlessly switches between dozens of room models with automatic decay time adjustment, and the industry-first Decay Rate EQ concept that introduces free adjustment of the decay time over the frequency spectrum. Together with the built-in Post EQ and an abundance of high-quality factory presets, FabFilter Pro-R delivers pristine sound quality and maximum ease of use. 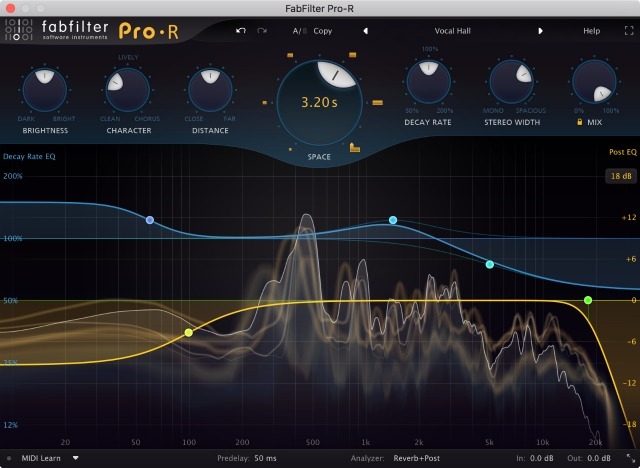 FabFilter Pro-R takes a musical approach to reverb, offering user-friendly, non-technical controls like Brightness, Character, Distance, and Stereo Width to tweak the reverb sound. The stepless Space control lets the user fade between dozens of different, carefully-tuned room models, and automatically chooses a matching decay time for a natural-sounding result. 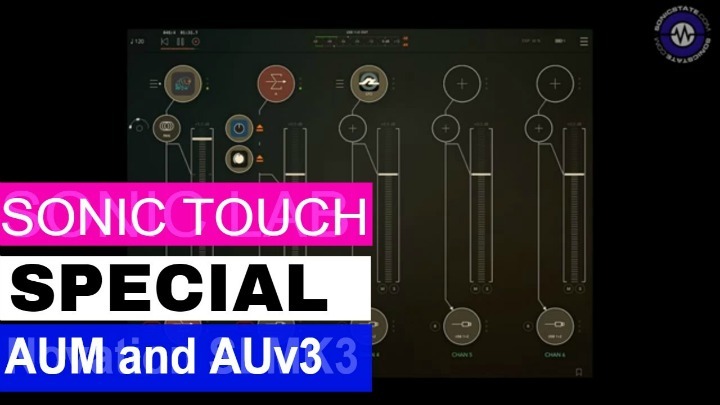 Behind the scenes, each of these settings influences the internal algorithms in multiple ways to deliver exactly what was intended -- without requiring a degree in reverb science. The decay time of a real room often varies wildly over the frequency spectrum, which is one of the key ingredients of a room's reverb character. To simulate this, the industry-first Decay Rate EQ concept in FabFilter Pro-R offers completely free adjustment of the decay time over the frequency spectrum. Since it uses parametric EQ bands instead of a traditional crossover system, it provides much more flexibility to shape the decay time characteristics. Together with the integrated six-band Post EQ, designing reverbs of any character has never been easier. Beautifully designed room models, ranging from small ambiences and rooms to large concert halls and huge cathedrals. Carefully developed to easily sit in the mix, without causing undesirable coloration, density or phase problems. 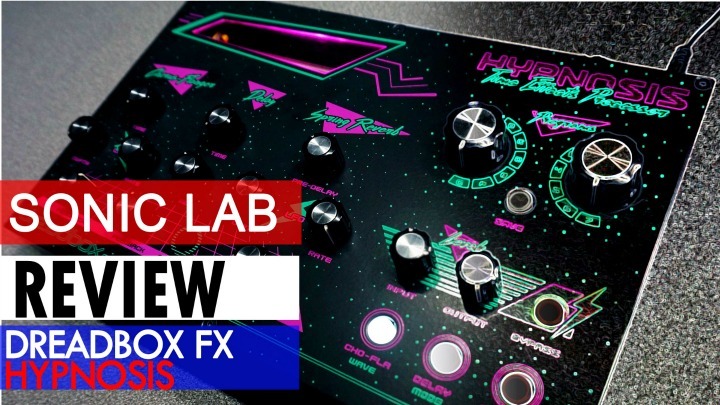 Gorgeous Retina interface with large interactive reverb display featuring Decay Rate EQ and Post EQ curves. Very easy to set up, with user-friendly, non-technical controls. 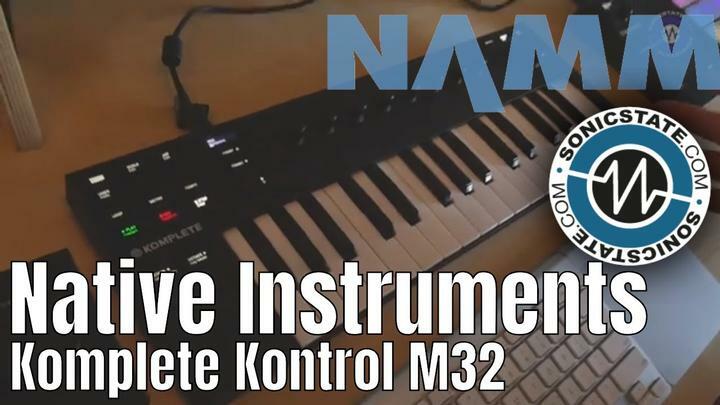 Space control, which smartly and smoothly combines the room model and decay time of the reverb -- choose from over a dozen carefully designed room models and seamlessly vary between them, without hearing clicks or unwanted artifacts. Decay Rate control, changing the overall decay time from 50% to 200% of the current Space setting. Intelligent Stereo Width control, ranging from pure mono to true stereo and beyond. Distance control to adjust the proximity to the sound source in the selected space. 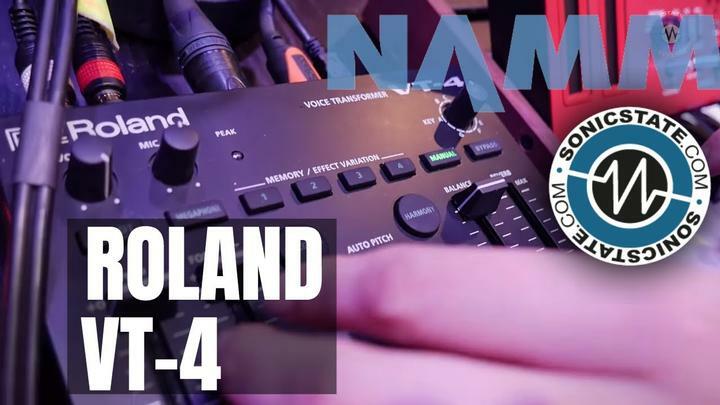 Character control that changes the sound from a clean, transparent decay to a lively reverb with pronounced reflections and echoes -- all the way to an over-modulated chorus-like effect. Perfectly tuned Brightness control, affecting not only brightness, but also the decay of high frequencies. Predelay control via the bottom bar, ranging from 0 to 500 ms, with optional tempo sync. Real-time spectrum analyzer that also visualizes the decay time at different frequencies. Full Screen mode, offering a large analyzer display and Decay Rate EQ and Post EQ controller. Multiple interface sizes: Medium, Large, and Extra Large. Retina support on OS X and High DPI support on Windows. Supports common Pro Tools hardware control surfaces. System requirements on Windows are either Windows 10, 8, 7, Vista or XP and a VST 2/3 host, or Pro Tools, or Mac OS X 10.6 or higher with Intel processor, and an Audio Units host, VST 2/3 host, or Pro Tools. Both 32-bit and 64-bit hosts are supported. FabFilter Pro-R is now available for EUR 169, USD 199 or GBP 149, supporting both Windows and Mac OS X in VST and VST 3, Audio Units, AAX, RTAS, and AudioSuite plug-in formats. Bundles with FabFilter Pro-R and other FabFilter plug-ins are also available. Existing FabFilter customers can purchase FabFilter Pro-R with very attractive discounts by logging in to their online user account.